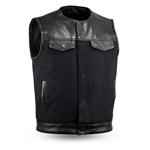 Are leather motorcycle vests uncomfortable to you? 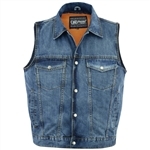 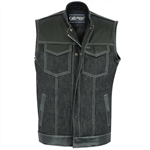 A denim motorcycle vest is a great alternative, they are often lightweight and comfortable to wear while riding. 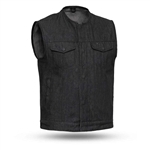 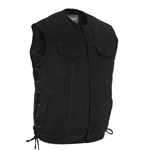 Our black denim motorcycle vests are one of our best selling products among our customers. 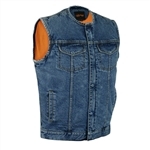 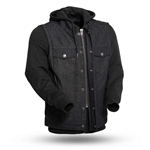 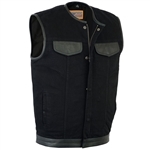 Most styles are available in sizes all the way up to big men's 12XL so even the hard to fit biker can enjoy the comfort and quality of a denim motorcycle vest. 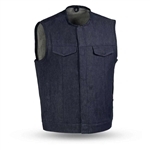 If you have any questions about sizing feel free to contact us at 856-665-4454 and a representative can help you pick the right size.